Have more fun with your paddlecraft, including canoes, kayaks & SUPs. Can be launched and enjoyed just about anywhere there’s enough water to float the boats and dip a paddle. How do you and your family use the craft at your cabin? If all you’re doing aboard your paddle-powered craft is, well, paddling around, you’re missing out. Many enthusiasts have found alternative ways to get more fun out of this recreational pastime. And sometimes, there’s not even a paddle involved! It’s no secret that cabin country’s original paddlecraft, the canoe, has been drafted into use for activities ranging from fishing and hunting to sailing and even as emergency camping shelter – as a canoe tent – over the eons. 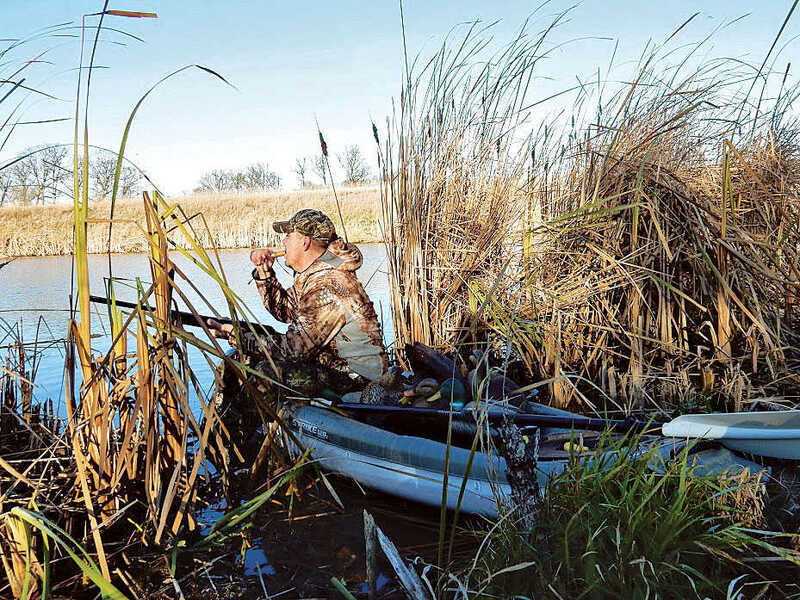 Canoes remain popular among hunters who need to approach game quietly, yet may have to pack out literally tons of meat from remote locations if successful. 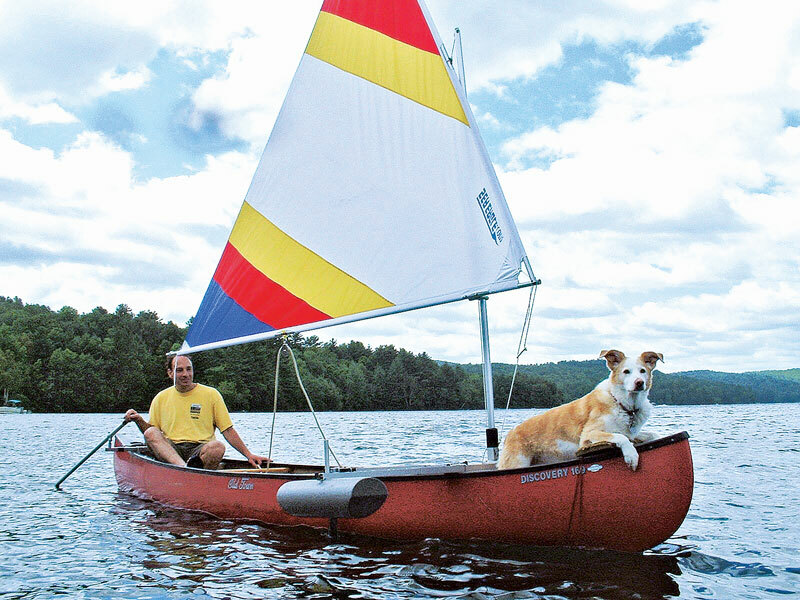 And there are kits available to temporarily transform canoes (and kayaks) into serviceable – and in some case even swift – sailing craft. However, any fisherman who has ever attempted to angle from a canoe will attest to the fact that trying to fish and keep control of the craft – and your balance – especially if there is any breeze or current to contend with, can be an exercise in frustration. That’s where kayaks come into play. It’s also the reason these boats that offer both lower profile and higher maneuverability have become so popular among anglers. 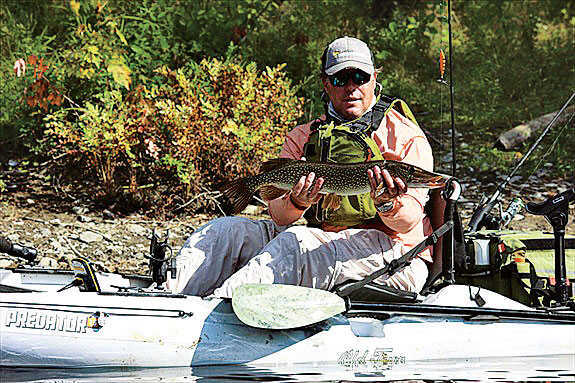 Most kayak manufacturers now offer fishing-specific models in their lineups – complete with electronic fish-finder packages, bait wells, and pedal-power options to allow anglers to keep both hands on the rod and reel. Even kayakers who enjoy only occasional angling from their craft can get by with simply mounting a portable rod holder to the deck of their boats. Permanent flush-mount and portable clamp-on styles are popular and remain out of the way when pursuing other paddlesport activities. On the other hand, for any fly fisherman who has attempted to cast from the close-to-the-waterline position offered by a kayak, only to see their backcasts slap the water behind them, the option of standing has a certain appeal. Ditto anglers of any tackle persuasion who want to see and “read” the water beyond the immediate vicinity of the boat and crave a higher viewing angle. 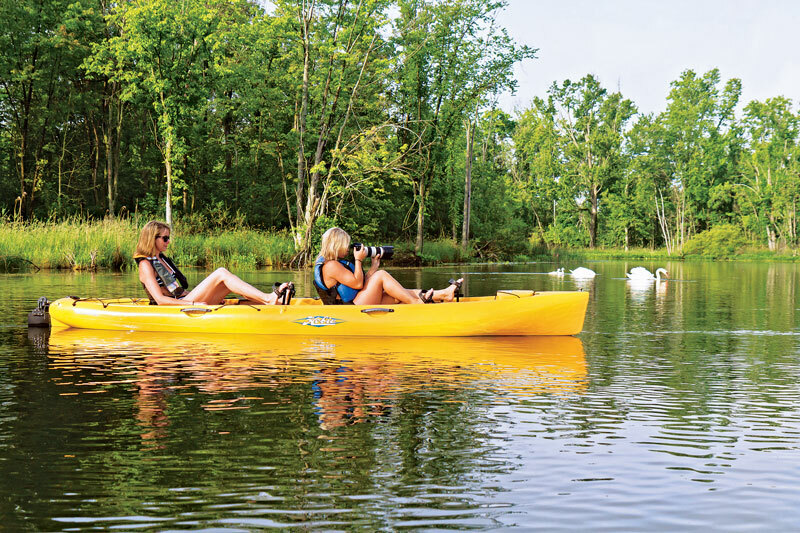 Some kayak designs offer just that: Sponsons or separating transoms or broad beams, flat hulls and stability bars that allow fishermen to stand atop their kayaks. Surfing is another optional activity that has grown in popularity among coastal kayak enthusiasts. 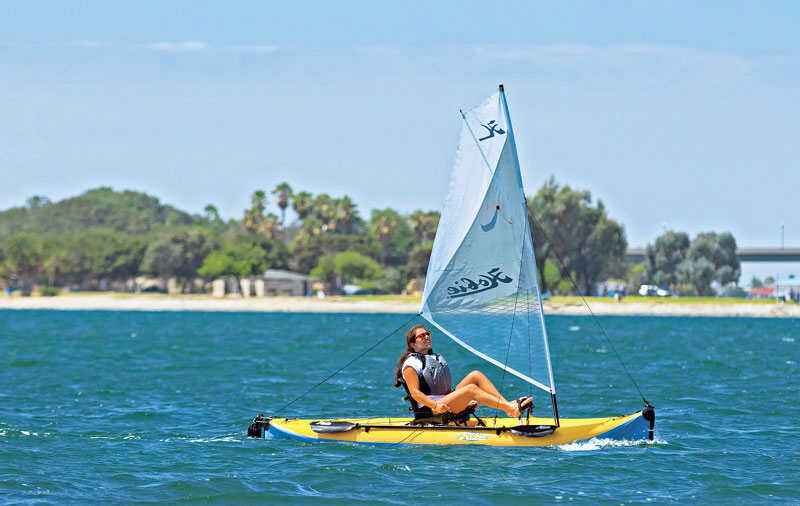 Shorter sit-in and sit-on-top models, kayaks made for white-water use, and specialized models are available to allow paddlers to ride the waves as a way to enjoy using their boats. Coastal kayakers also use their craft to get to prime snorkeling waters or to use as a floating air-base for diving with scuba gear. There are models designed to accommodate and secure a scuba tank aft of the seat, from which air hoses with breathing regulators lead to kayakers-come-divers swimming below. Others are designed with extra storage capacity to allow scuba gear to be stowed and then donned and used conventionally when the diver is in the water. Such kayak snorkel- and scuba-bases are especially popular among spear fishermen, underwater photographers, and recreational divers who seek abalone and lobster in near shore shallows. SUP enthusiasts appreciate the view from a standing position, and it didn’t take long before stand-up paddlers who like to fish realized the boards provided excellent flat-water platforms for angling: maneuverable, quiet, and with a shallow draft that allows the boards to access shallow areas that even canoes and kayaks can’t navigate. It also didn’t take long before specially designed SUPs rigged for fishing became available. Tournaments are now organized for anglers who want to compete while casting from the popular paddle-powered boards. Paddlers who want to give their entire body – and mind – a workout have found that SUPs can provide the perfect platform and setting for practicing yoga, and programs and classes can be found in many areas where SUPs are popular. 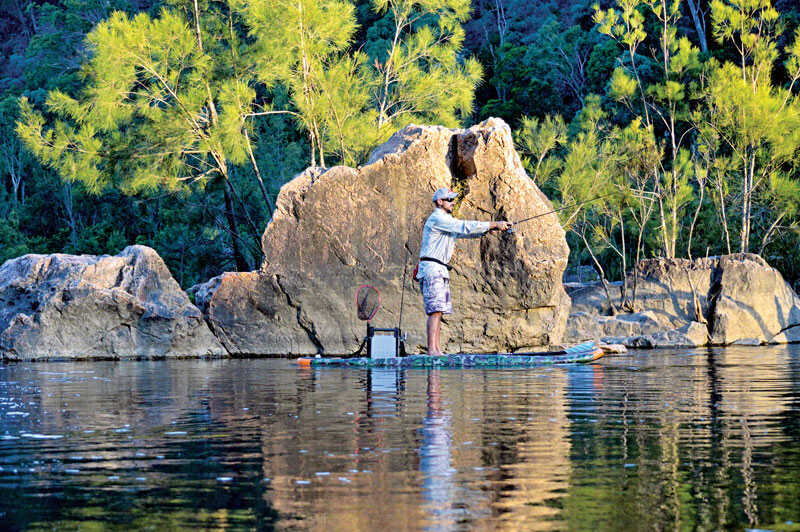 In fact, some SUP manufacturers are offering boards specifically designed for on-water exercise use. From wildlife photography to yoga, the alternatives for using and enjoying paddle-powered craft are as wide open as the great outdoors. We’d like to hear about how you, a friend or family member enjoy your SUP, canoe or kayak in a non-traditional manner. Let us know – and send a photo showing your on-water, paddle-powered adventure! Dan Armitage is a cabin dweller, frequent contributor, freelance writer and syndicated radio show host (buckeyesportsman.com), who is based in Ohio.